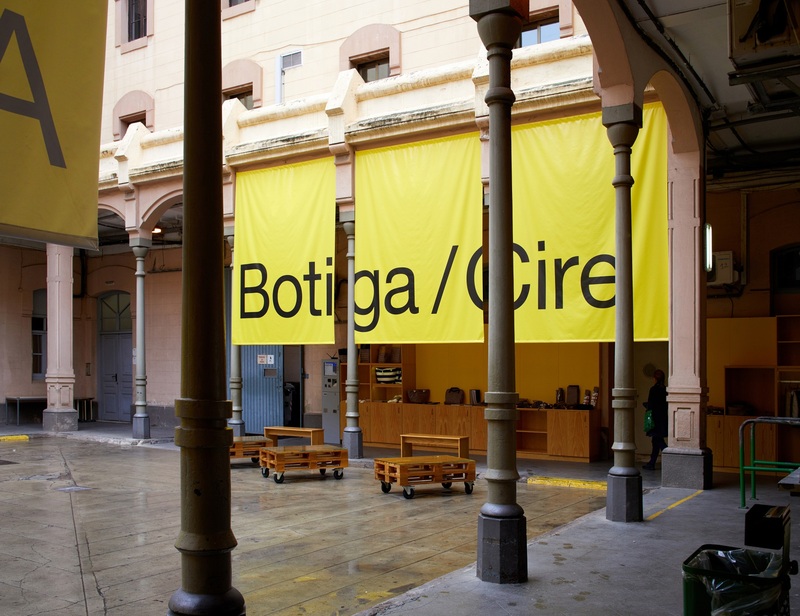 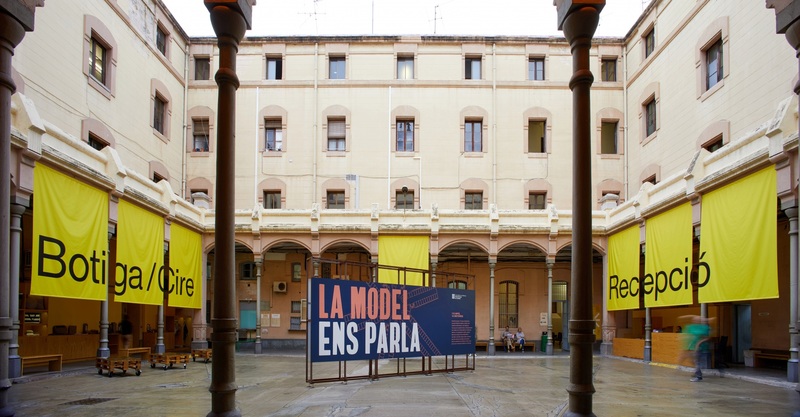 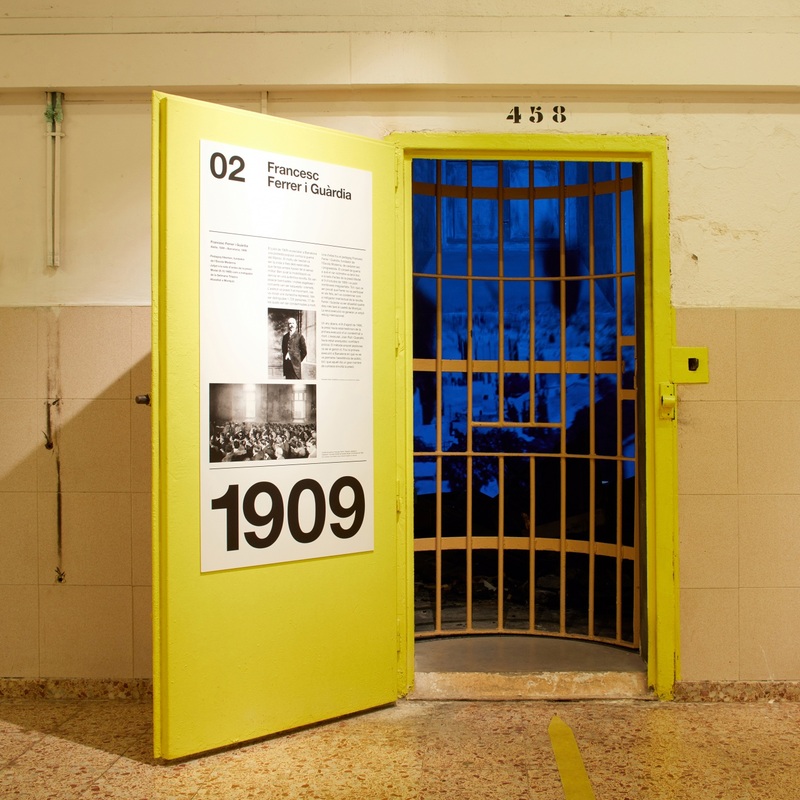 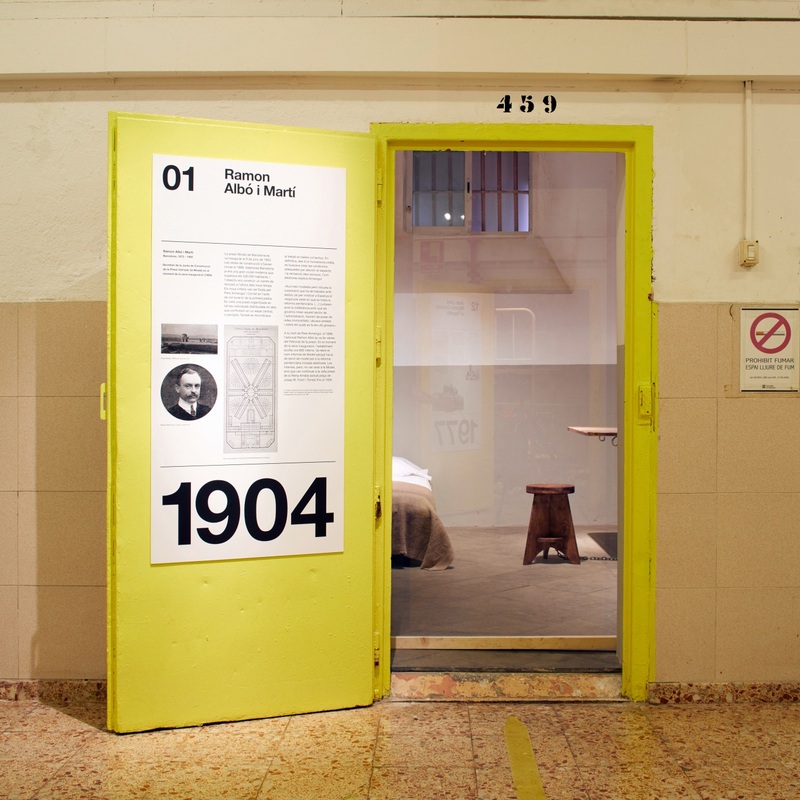 A visit to the Model Prison in Barcelona through 13 stories that summarize its 113 years of use, before leaving behind its function as a prison and moving toward a new use. 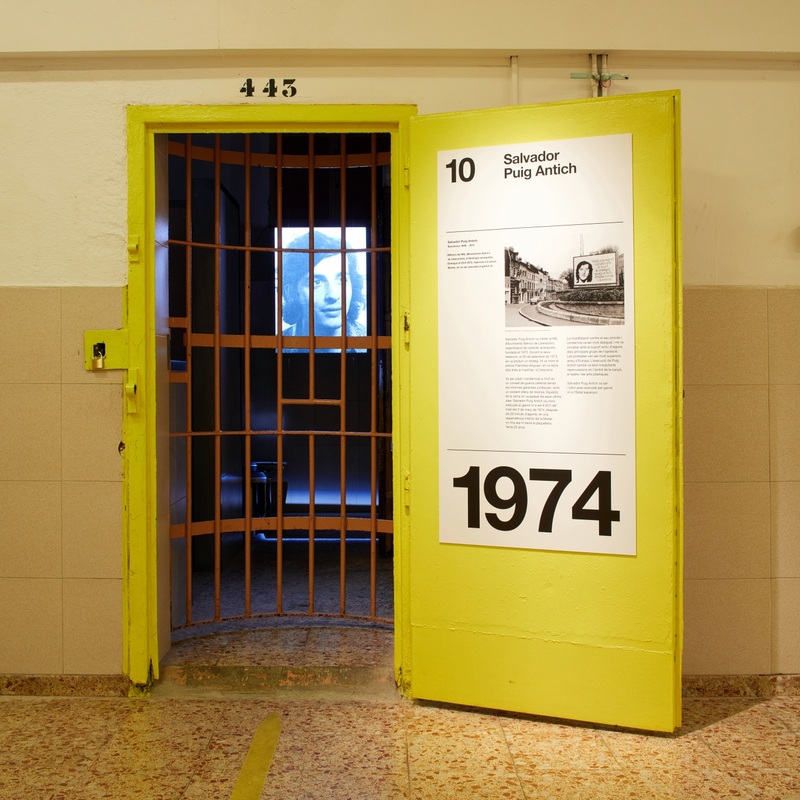 The Model Prison is not a museum. 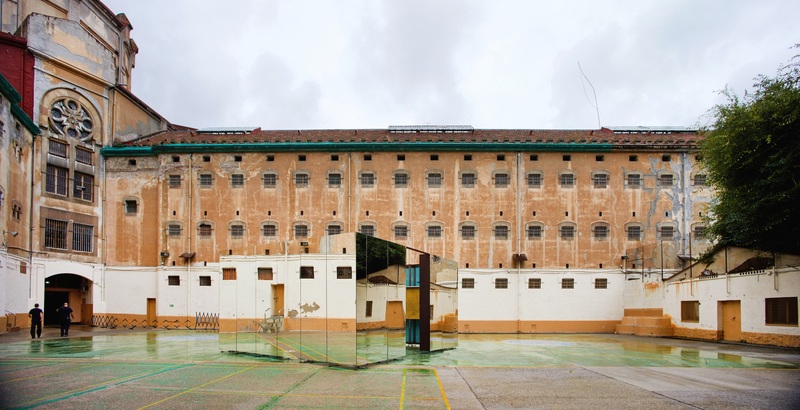 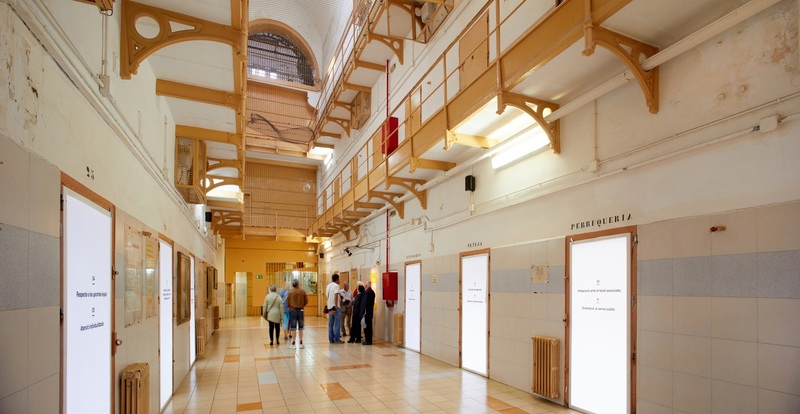 It is an emblematic space that has recently been shut down as a penitentiary centre, without knowing what use will be made of it in the future. 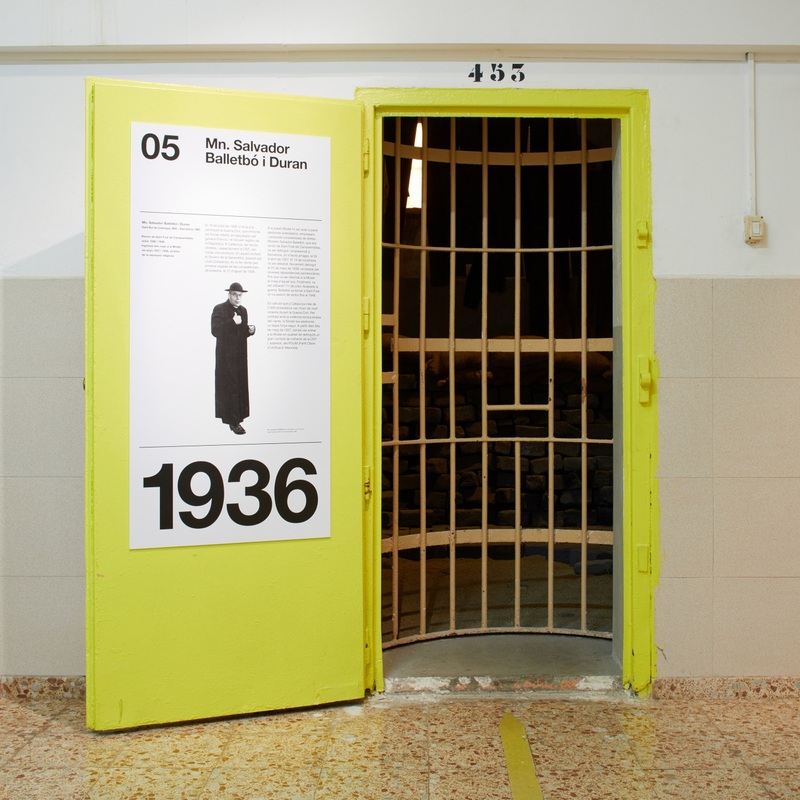 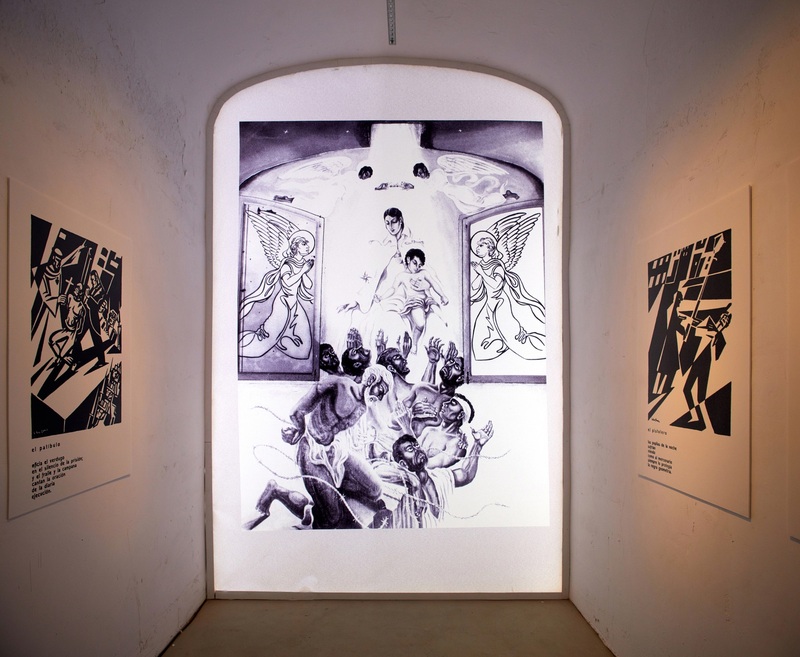 Before this happens, this exhibition aims to let citizens to visit the building while it still contains the aura of the stories that have occurred there, and learn about those stories. 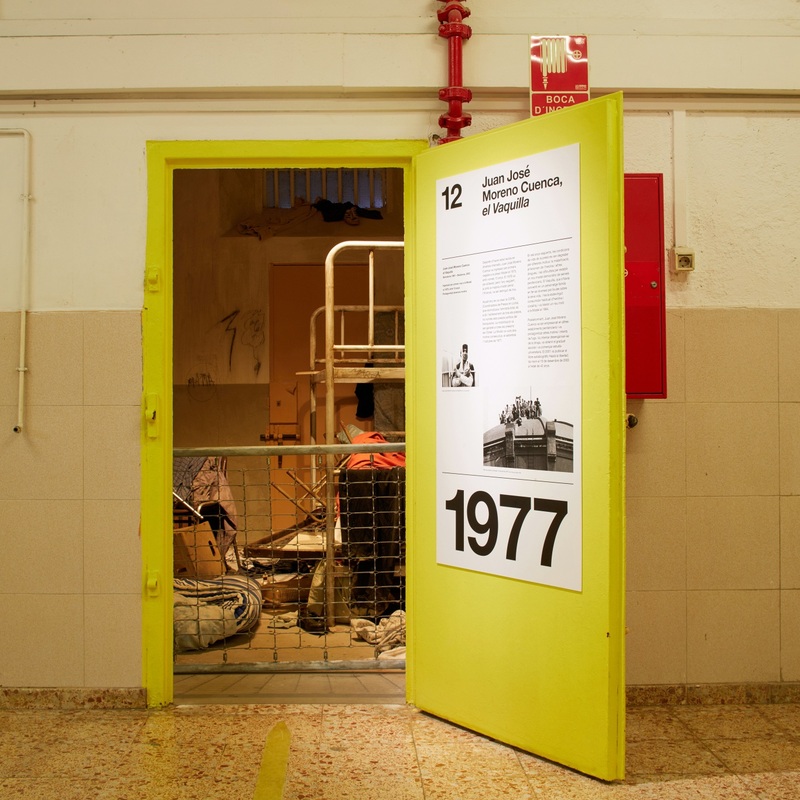 That is why the exhibition contains scarce text, little information, because the visit is experiential, to be lived through. 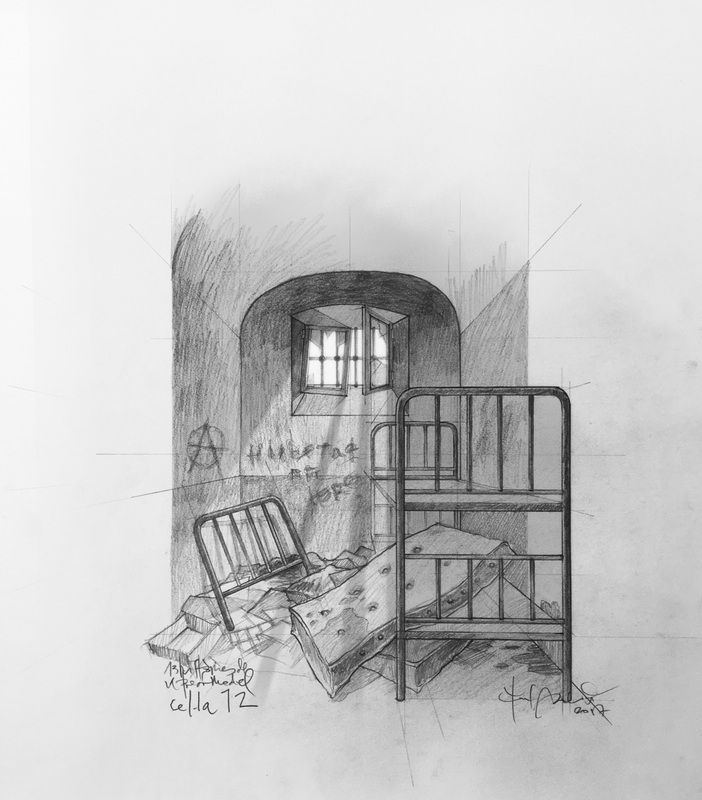 One of the most interesting aspects of the project is that the visits began on the same day that the last inmate left the Model. 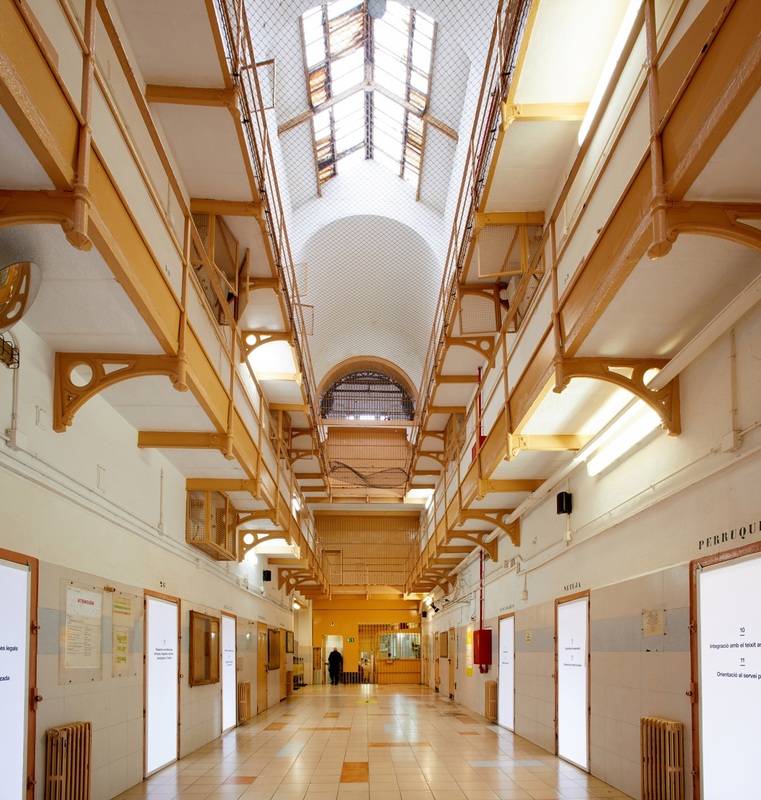 The visitor follows the path of a prisoner who has just entered to serve a sentence. 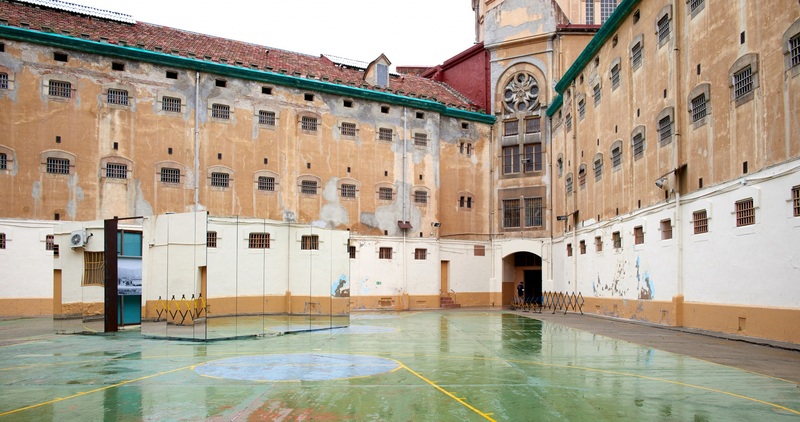 The groups are organized for entrance in the courtyard and then you go through three security doors, isolated spaces between two gates that act as a security system. 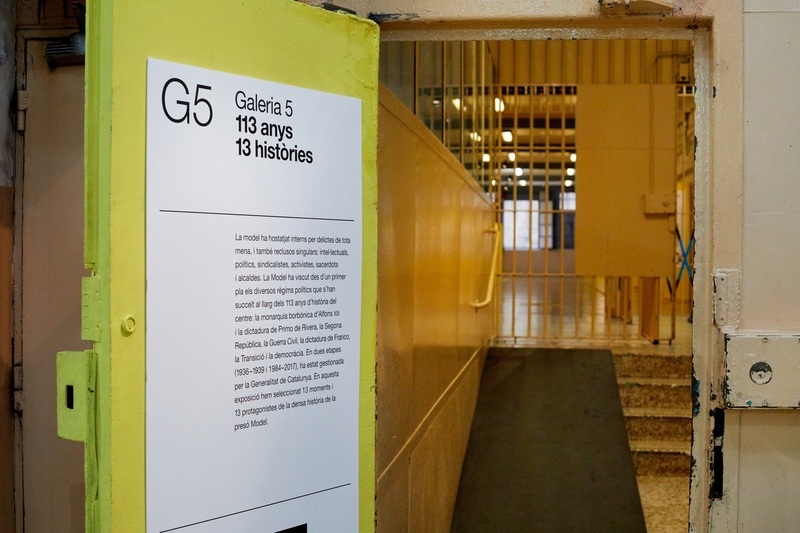 Then you access gallery 5. 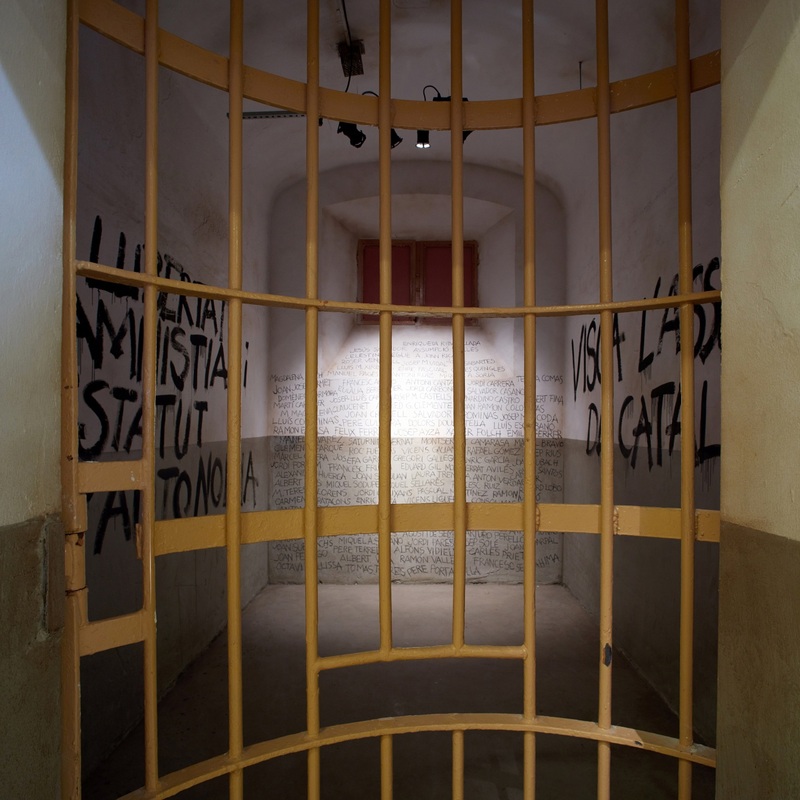 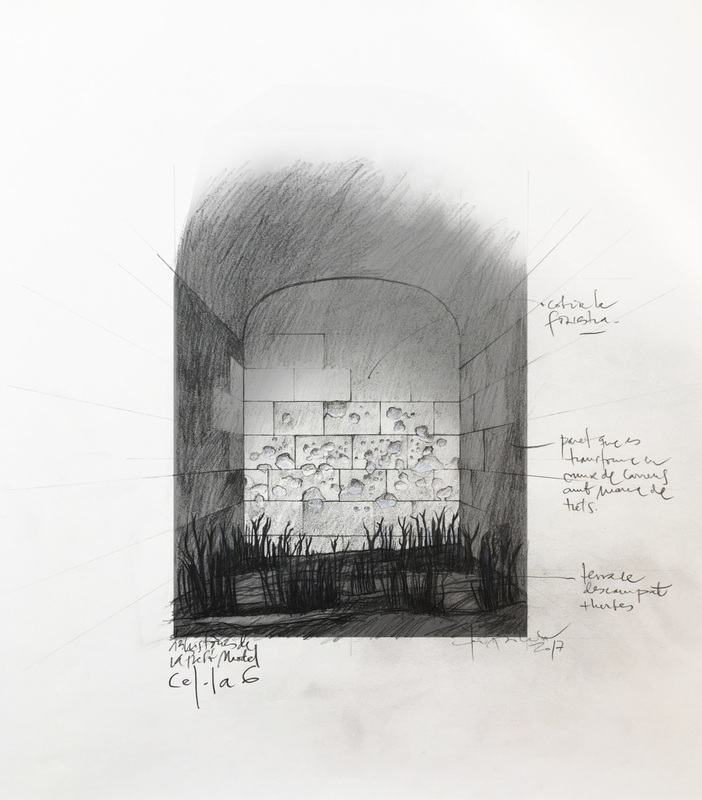 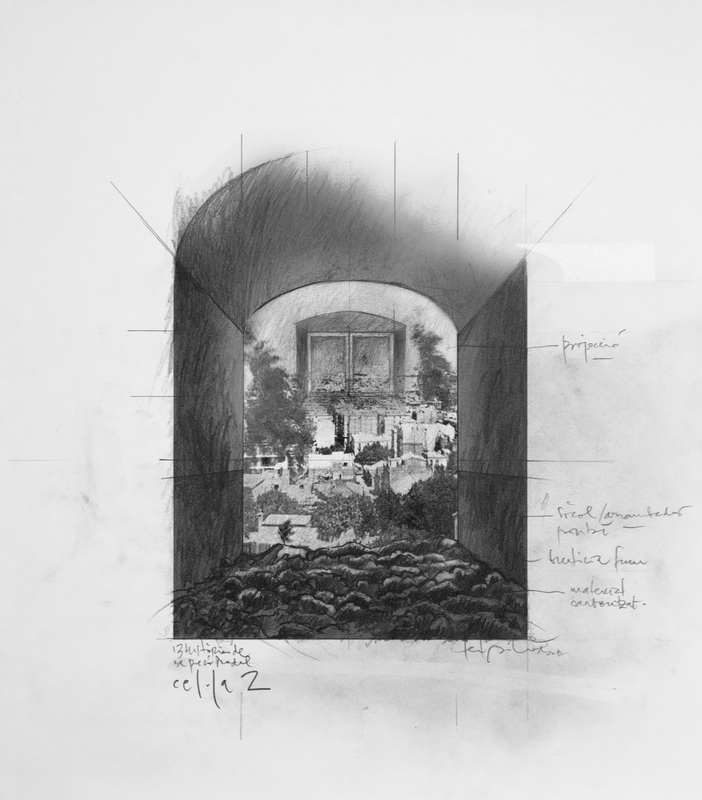 This is the most symbolic and scenographic space, where we reconstruct 13 stories associated with the building and its prisoners. 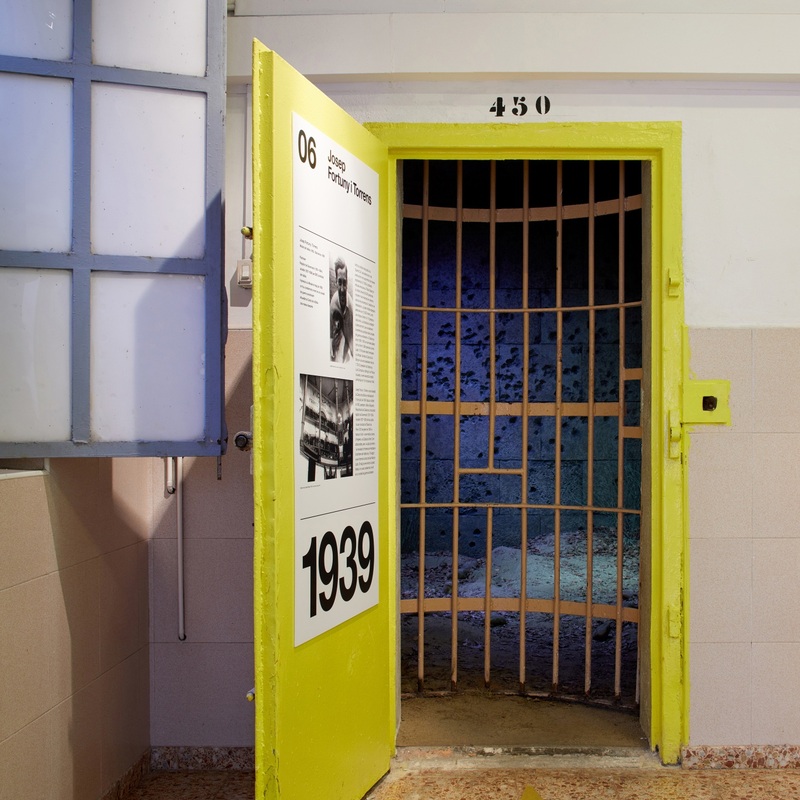 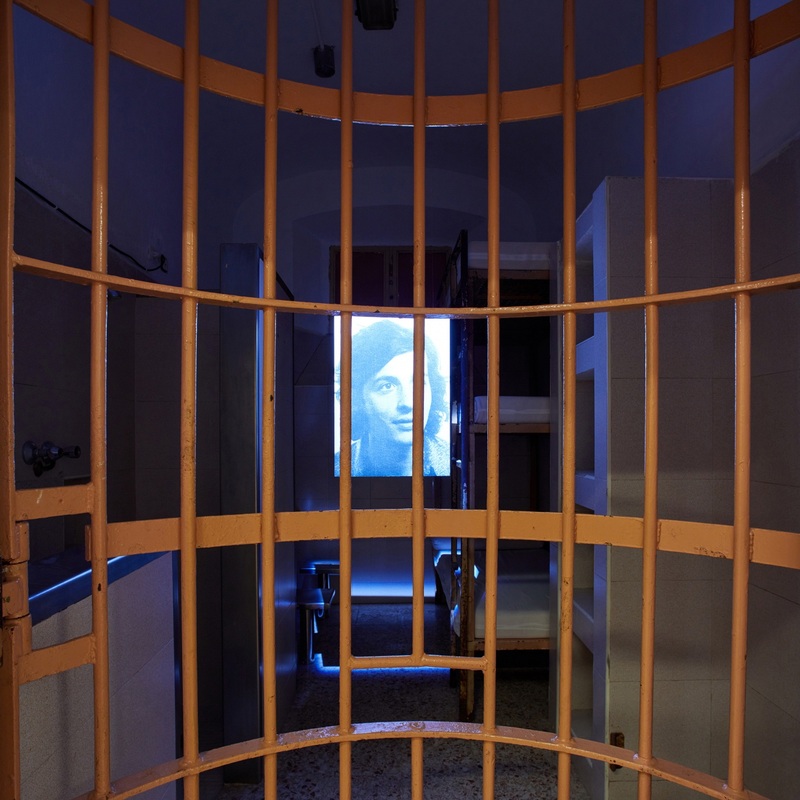 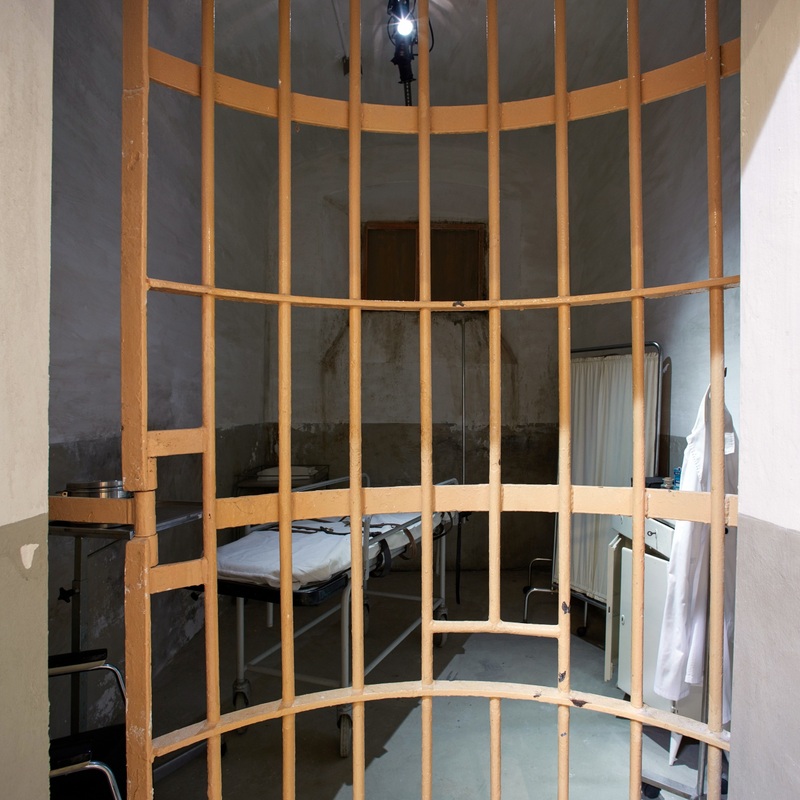 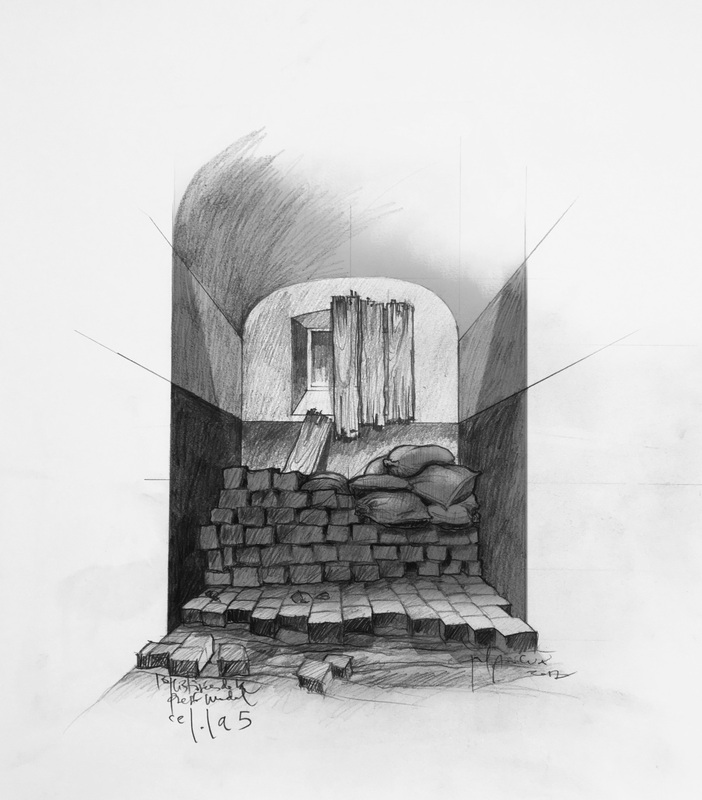 Each cell captures a moment, a character, a place or a historical fact; like a barricade, a firing squad, torture using electroshock, or the cell where Salvador Puig Antich spent his final night before being executed. 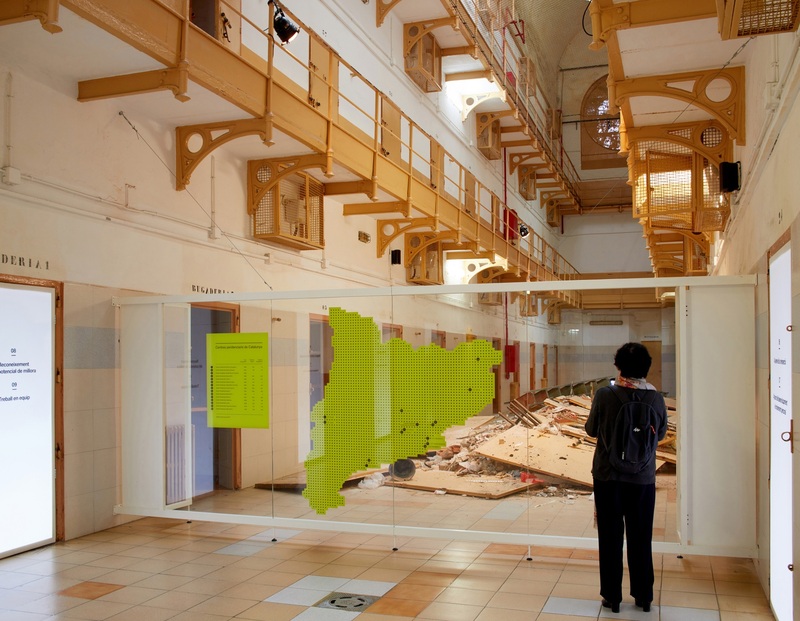 Then we enter Gallery 4, in its original state, and where we can observe the solemnity of the architectural space and the daily life of the people who worked and lived in this building through a sound installation. 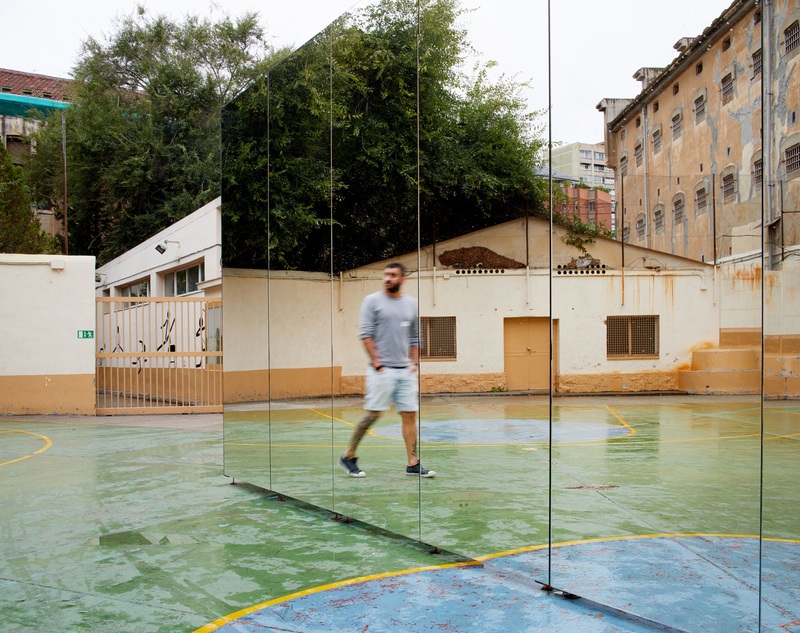 Upon leaving this space visitor find themselves faced with their reflection, seeing themselves in a cube of mirrors that is installed in the courtyard. 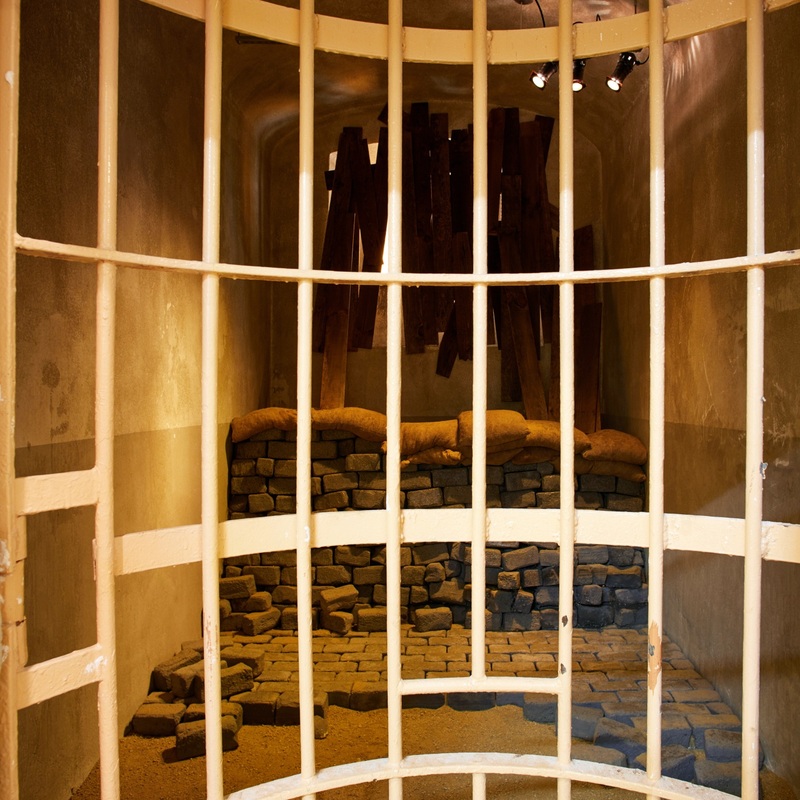 It is the first time they are really aware that they are inside this confined space. 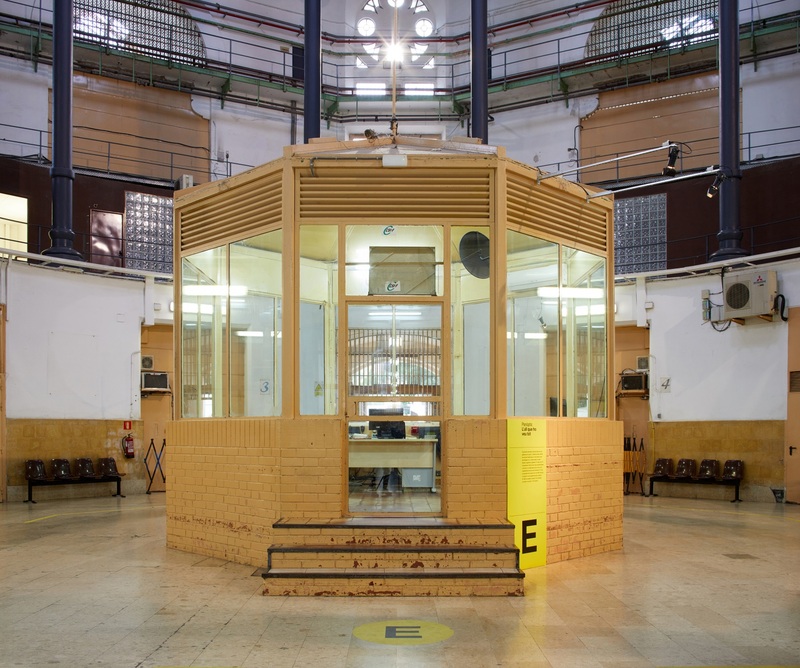 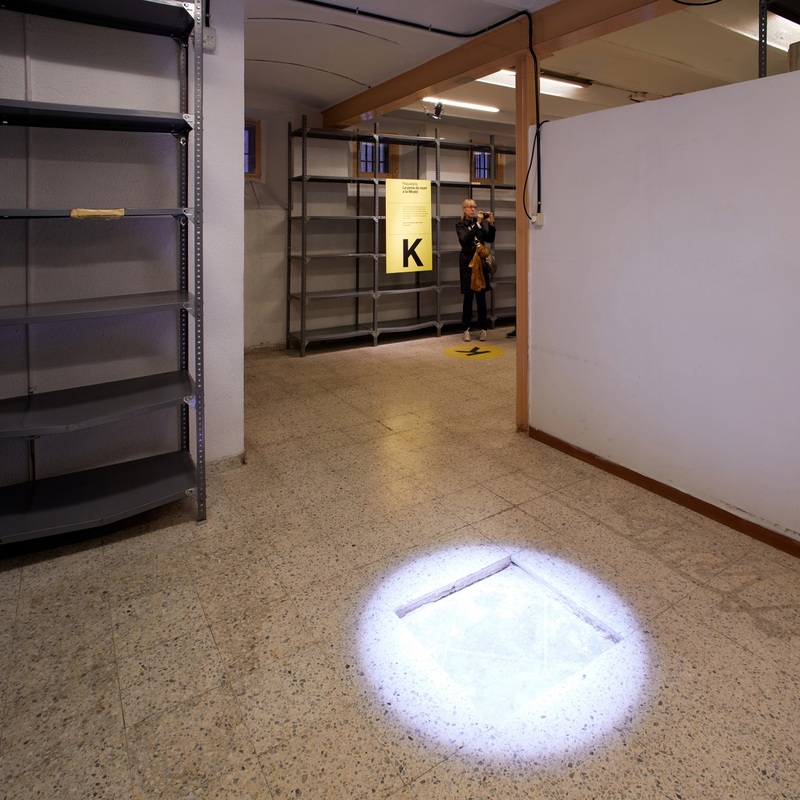 Inside this cube, there is an explanation of the building’s relationship with its immediate surroundings, and how it went from being located on the outskirts of the city to being integrated into it. 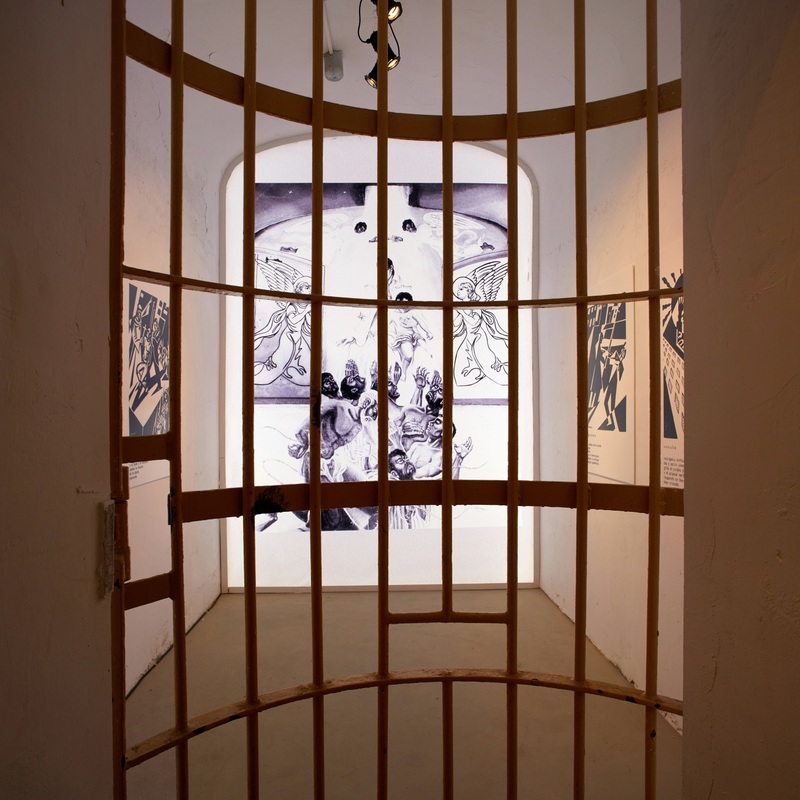 The final gallery recreates the dismantling of the prison, depicting a state of ruin. 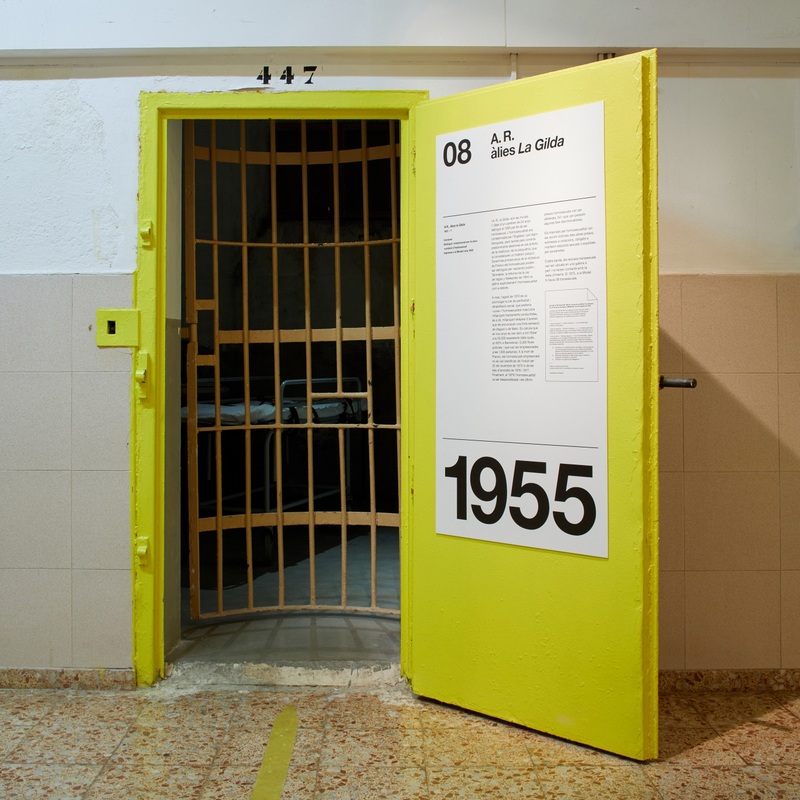 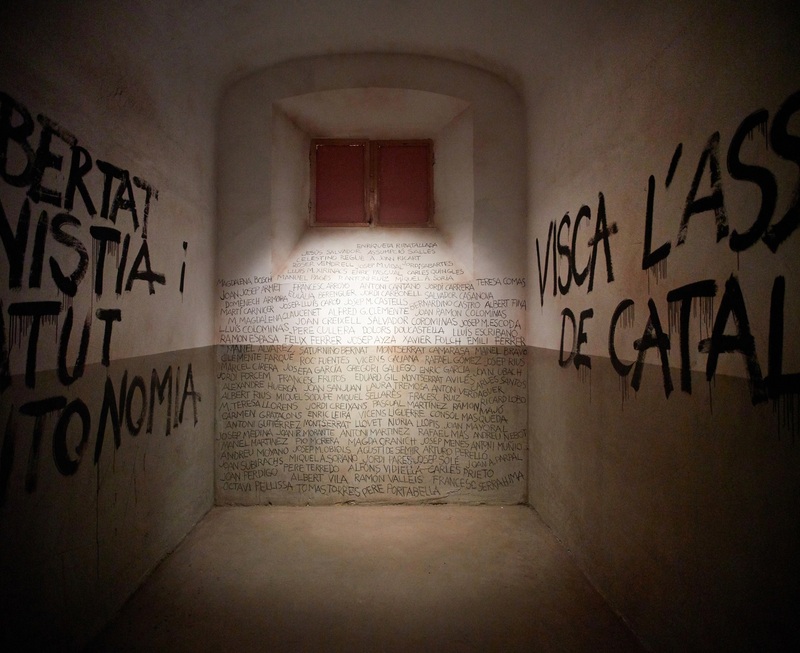 On the doors, in light boxes, we see the order calling for the closure of the prison along with a list of the key values that underlie the Catalan penitentiary system, highlighting the importance of reinsertion. 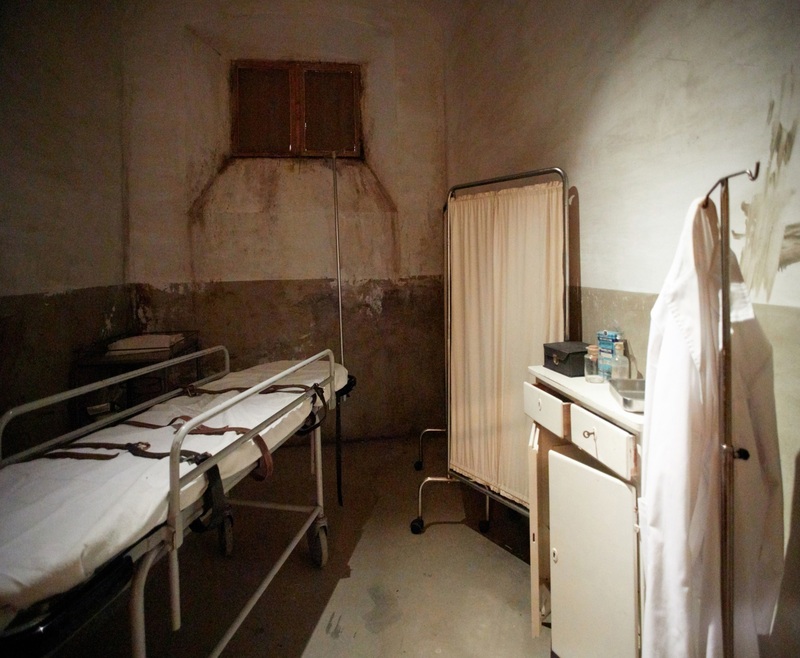 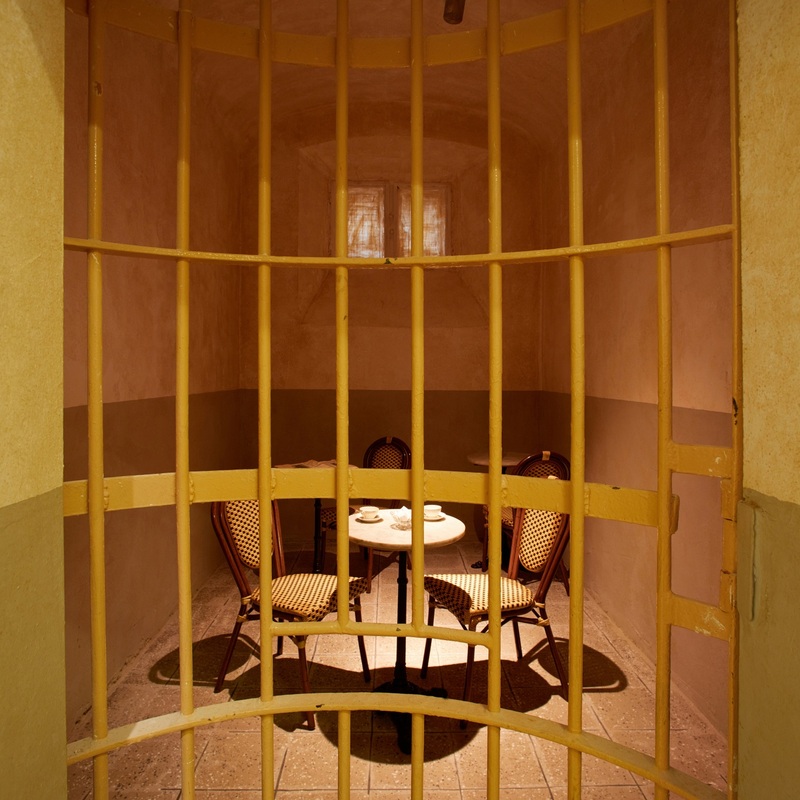 The last room is the parlour, where prisoners were able talk for a few minutes with their family and friends. 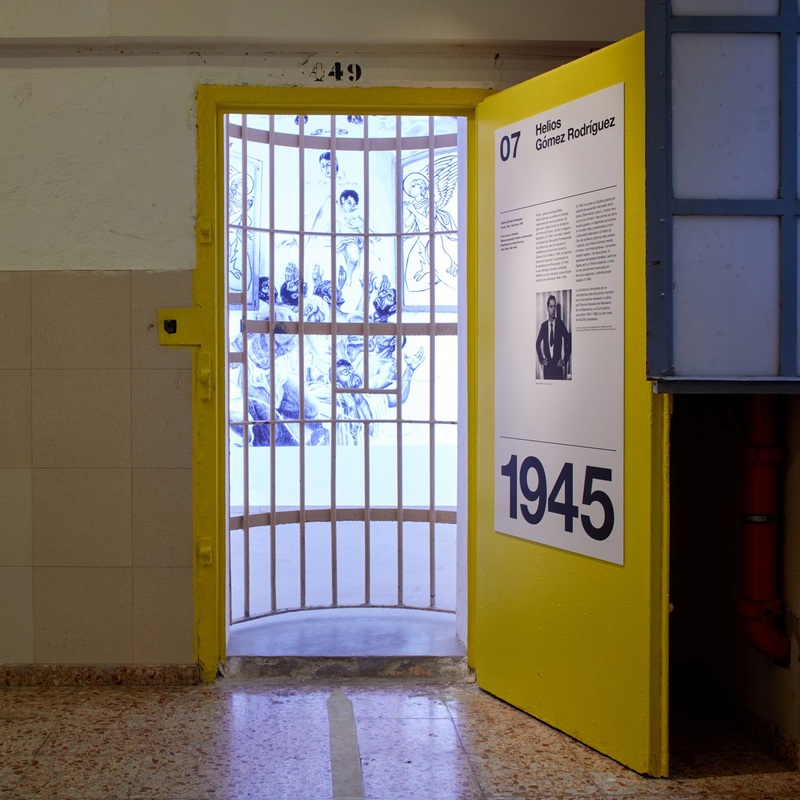 The entire background of this room was painted an intense blue colour. 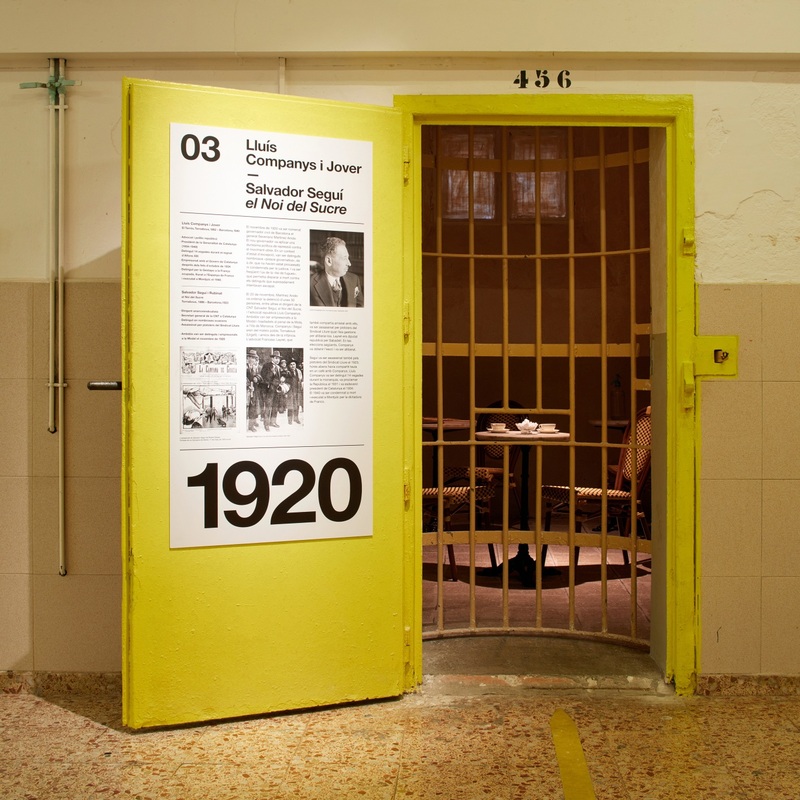 In the end a countdown of 113 years was added, as a symbol of hope for serving out one’s sentence and rediscovering freedom. 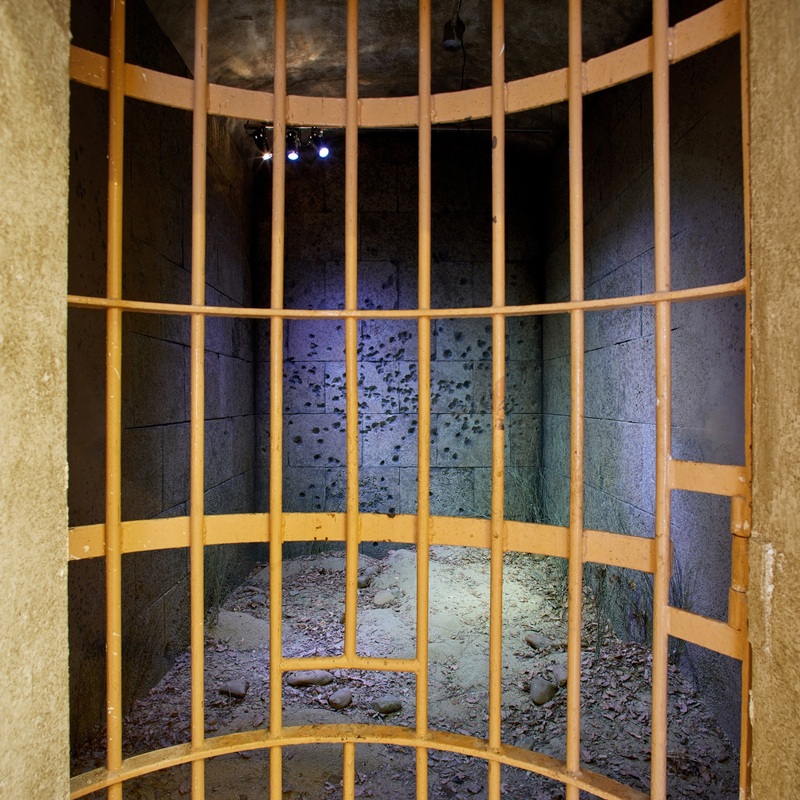 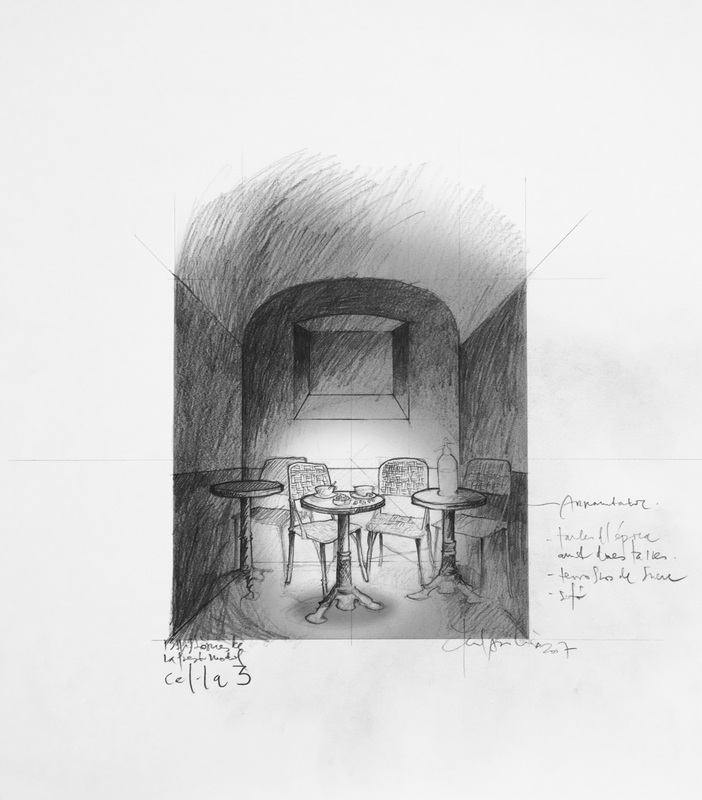 In the booths, visitors could listen to audio fragments that portray the furtive conversations among the thousands of people who gathered in this place. 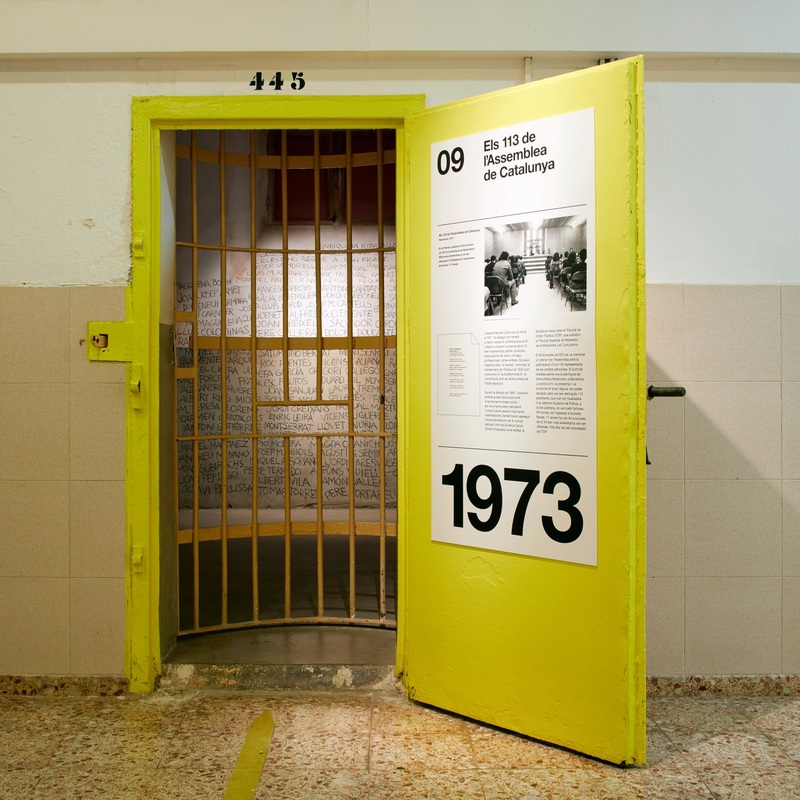 Finally, in the mail room, visitors could see the tiles where the garrotte was once set up, taking advantage of this section to end with a reflection on the death penalty as a failure of society. 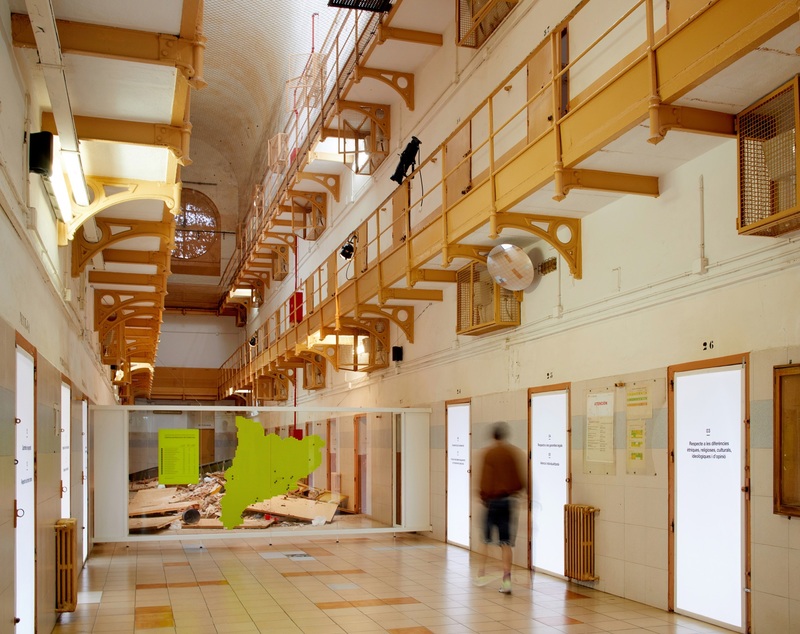 Exiting through the same courtyard where they entered, visitors come to the CIRE store, which works toward the successful social reintegration of up to 70% of the Model’s prisoners.